Click Sign in. A dialog box will open. Choose the option to login through the organizational portal. If prompted for an organization url, enter cornell.edu. 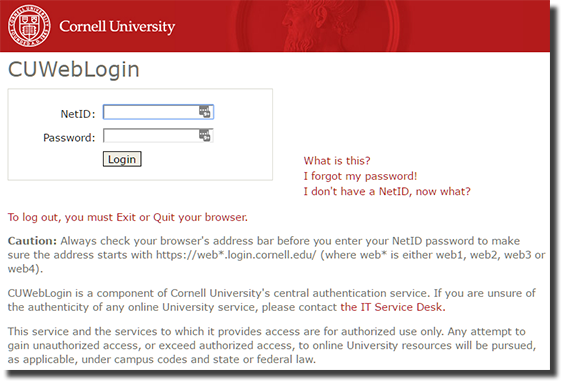 Enter your Cornell email address, then click Continue. Cornell's CUWebLogin screen will open. In CUWebLogin, enter your NetID and NetID password. You will be redirected to Lynda.com and can now access the materials. If you encounter an error, either try again (it happens sometimes) or try our Alternative Method for Logging In to Lynda.com. 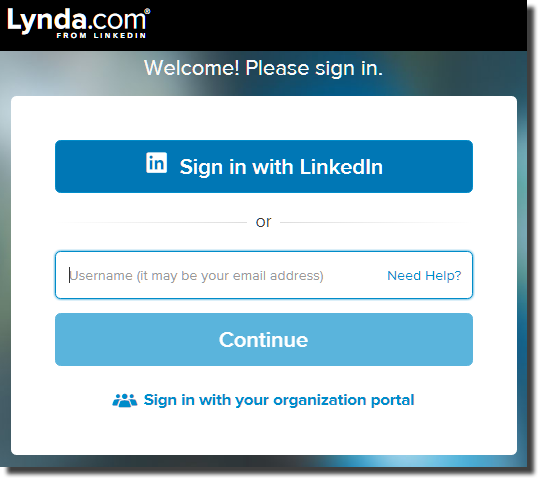 If this is the first time you have logged into Lynda.com using your Cornell credentials AND you previously had another type of account (for example, a personal account or an account from the Cornell pilot phase), you will have the opportunity to migrate your playlists and history from that account to your Cornell account. You'll be asked to provide the user name and password from your other account. Please note that this option is only presented to you on your very first login.